Hi everyone! I am so excited to be a part of the Nardcotix MANA Blogger Challenge. I’ve always loved Nardcotix pumps so when I received an invitation to join the challenge, of course I accepted! I’m so happy that these new MANA shoes have realistic sculpted feet. Nardya began making toe-shoes because she loves a challenge. And we all benefit from her hard work, cos these are truly stunning. 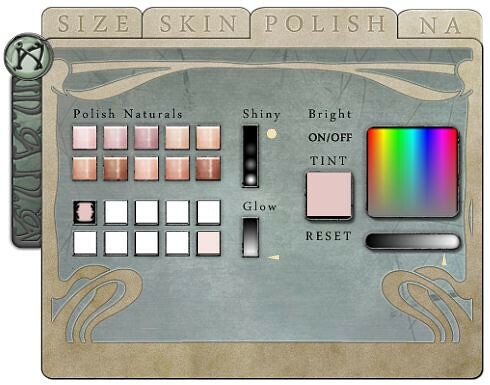 A MANA Shoe HUD is included to easily customize skin tone, nail polish and resize. This HUD also includes extra features I have not seen with any other shoes in SL: Glow and Shiny. I don’t find Glow or Shiny useful if you are going for a ‘realistic’ look but for Sci-Fi or Fantasy avatars? This makes perfect sense. You know you want to do this because it’s SO EASY! The first 3 entries with all the trivia questions correct gets to pick a MANA shoe pack of their choice!! To show off these gorgeous new Breezie Stilettos, I went to the Ode sim to take pictures in the gorgeous flower field. This sim allows rezzing, so I took my gorgeous Laridian Rose Swing with me. The swing has built-in poses and is scripted to have a swinging motion that you can turn on and off with one easy click. For ONE WEEK only, the new Laridian Rose Swing is on sale for $50L, you can purchase it from XStreetSL. The regular price is $125L (which is still a deal for this great pose prop). Visit the ODE sim, it’s so beautiful.